I mentioned last month the Executive Committee - the majority of the trustees attend the Finance committee meetings each month, but another important committee is Governance, this year it is particularly busy because of the change from a Charity to a CIO. We also needed to improve some of the aspects of the constitution to make sure that the BBKA is managed and operated to the best practices. Stephen Barnes heads this committee and he has been diligent in making sure that the new CIO will be fit for purpose, the constitution has now been distributed for general appraisal and it is important that any comments are made as soon as possible because once the Solicitors finish drafting the constitution, there will be no more changes allowed. I would liken the Constitution to a set of rules that must not be broken, it is to make sure that all Trustees know what can and cannot be done in the name of the BBKA. In a business they would be Policies and Procedures, written in line with British Standards suitable to the business, I have written many of these and it is certainly not an easy task as every small thing must be accounted for and explained. Of all our Trustees, I do believe that Stephen is the best one to take this challenge on and complete it to give the BBKA a great future. BBKA are very fortunate in being part of a brand new, exciting project, involving many European countries and funded by the EU. 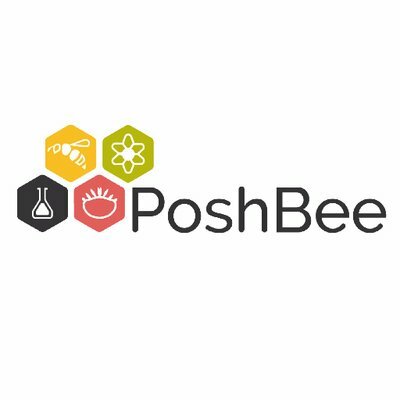 The project, named PoshBee, is designed to determine the exposure of bees to a range of chemicals and assess the levels of pests and diseases and nutritional status, and the impacts these may have on the health of honey bees, bumble bees and solitary bees in a field realistic way rather than in laboratory studies. Prof. Simon Potts (Reading University) and Prof. Mark Brown (Royal Holloway College) have been the guiding lights in getting this application drawn up and finally approved. This is going to be a wonderful opportunity for some of our members to take part in real scientific experiments and initially we are looking for volunteers in two areas - Kent and in Berkshire/Oxfordshire who would be interested in providing hives for use next year. The beekeepers would be paid for the use of their hives (price to be decided) which will be placed in orchards in Kent and in OSR fields in the Berkshire/Oxfordshire area in Spring 2019. The sites will be chosen by Prof. Potts in collaboration with various farmers to represent differing levels of pesticide usage, among other factors. The hives will remain at the sites for about a month after flowering has finished and the beekeepers will be expected to look after their hives. They will have their travelling expenses reimbursed and will be able to take a crop of honey. The aim is to take various samples from colonies throughout the season and these will be assayed by various experts in laboratories. The beekeepers will not be expected to take these samples. Those willing to take part will be expected have colonies ready for moving in the spring of 2019. We require 24 colonies for each of the two areas, so ideally 30 colonies to allow for losses over the winter. Please contact Pam Hunter now to register your interest in taking part pam.hunter@bbka.org.uk . For those interested and willing to take part, Prof. Potts will give a presentation at Stoneleigh of what is required later this year. We have had news from our Jersey Branch that they are having extreme difficulties with the Asian Hornet over there. They spent last year searching for the hornet’s nests and thought that they had been successful in finding them all, however this year proved that to be incorrect. From the Information that Diane Roberts has received, the hornets seem to be everywhere, in greenhouses, in the hedges, gardens. There has been a call for volunteers to go and help to find the nests, some volunteers have already gone to Jersey and they are staying with Beekeeper’s over there because with the holiday season, accommodation is very scarce, also as they are with other beekeepers they will be better able to help in the search for the hornets. She will be able to pass your details on to the Jersey Beekeepers to arrange accommodation etc. Margaret Murdin alongside George Brown, our fundraiser, are championing this venture. It will not happen overnight as with any changes to a building or grounds, we have to have plans drawn up, quotations obtained for the changes to the building but we also have a lot of details needed for the apiary. We would like a raised bed sensory area so that people who may be wheelchair users are able to enjoy the scented flowers. Howard Pool and Lyn Barker are responsible for collating everyone’s budgets for the coming year and then trying to calculate the income from all our sources, be it capitation, gift aid, the Web Shop, Adopt a Beehive, Corporate Donations, bequests or grants. It is like putting your finger in the air to test the wind direction, but nevertheless they do manage to balance the budgets, we have meetings to ensure that we know what each committee has to achieve and away we go. Over the past two years, we have managed to not only match the budgets but to make savings as well which has been great. This year 2018, we may not be so lucky as we have already made saving in all available areas so there is little left for us to save on, plus the usual general expenses are increasing for the BBKA as they are in all businesses. We are now waiting for the last couple of months before year end, holding our breath and hoping that we can manage one more time to beat our own budget. We will not know until October so it is a tense time for everyone on the Executive Committee. It was agreed at a communications meeting that a new forum would be created and trialled. One of the BBKA members, Chris Mountain, jumped at the chance to help and has created the forum for everyone to use. It's up and running and we hope that everyone will sign up and start using it! We mentioned this last month and Claire Hartry has been chasing this since that time, but they are concerned that to launch something like this with Christmas planning already underway would be a distraction, so Claire has been asked to diary this for January next year. Here you can go into detail about absolutely anything you want your readers to know about. Make sure to connect the story to your readers and how it relates to the mission of your organization.